We are delighted to stock Elizabeth Scarlett accessories at Beach Cafe. Created by London based designer Elizabeth Scarlett Elsey, who has combined an enduring love of soft textiles with an eye for detail, using her signature hand painted designs to create uniquely embroidered lifestyle products. Her collection is inspired by soft lighting, calming colour palettes, interiors and art in the South of France where she spent her summers growing up. 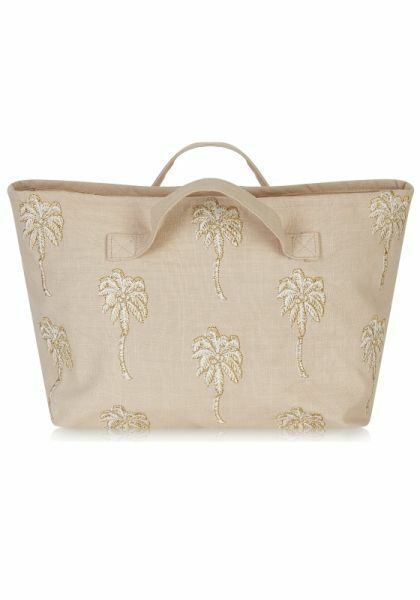 Elizabeth's new collection includes washbags and bucketbags made from the softest cotton and velvet, adorned with embroidered elephants, pineapples and palm trees. She has also introduced delightful candles with her signature motifs, in scents inspired by balmy summer days.